Financial institutions are in the middle of a digital transformation, from online and mobile banking to core business processes. With this change comes tremendous opportunity for those FIs to use new and emerging technologies, like artificial intelligence and machine learning. 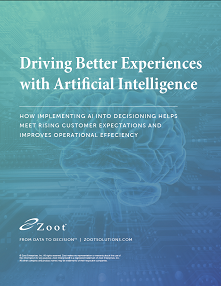 AI and ML can help improve customer experiences, drive operational efficiency, and improve profitability. But there are some significant considerations before implementing any AI projects. Get the whitepaper and learn how to put AI/ML to work in your organization.